I saw this on Pinterest and it cracked me up. 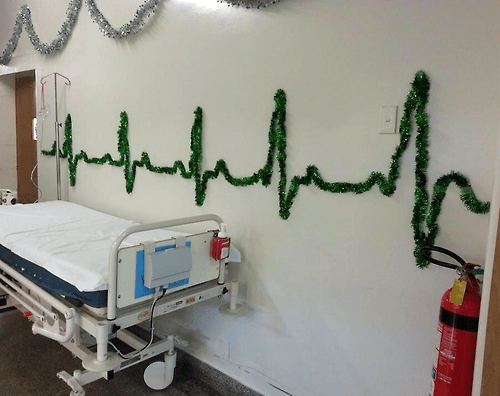 Green tinsel that looks like heart rate in a hospital setting. Love it.